Calf Rearing is recognised as one of the most informative and accessible guides on the subject, covering growth, nutrition, health and behaviour, with descriptions of various calf raising systems and facilities. 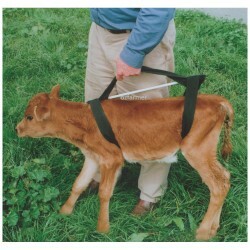 John Moran, an expert in the field, also gives considerable coverage to calf welfare, post weaning management and calf communication. Practical economic information on feedstuffs, labour requirements and losses is provided to assist producers in selecting the most appropriate calf rearing system for their farms. John Moran is a senior scientist at the Agriculture Victoria’s Kyabram Research Institute where he is deeply involved in improving the profitability of cattle producers in the dairy and beef industries, making this an invaluable book for Australian readers.